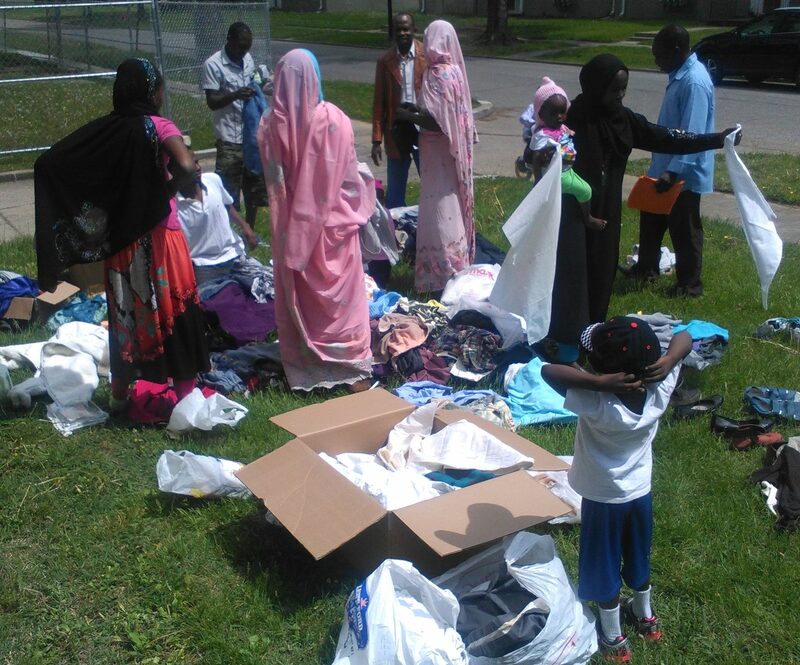 President Khamis Youssif and two DOHS members in Louisville saw to it that fourteen Darfuris newly arrived to the US got the clothing they needed from our Louisville clothing supply. The refugees had been displaced from Darfur, Sudan to eastern Chad (Camp Gaga) before moving on to Cameroon and then on to America. They thanked DOHS for the welcome, and expressed an interest in plates and other kitchenware. We’ll do what we can! 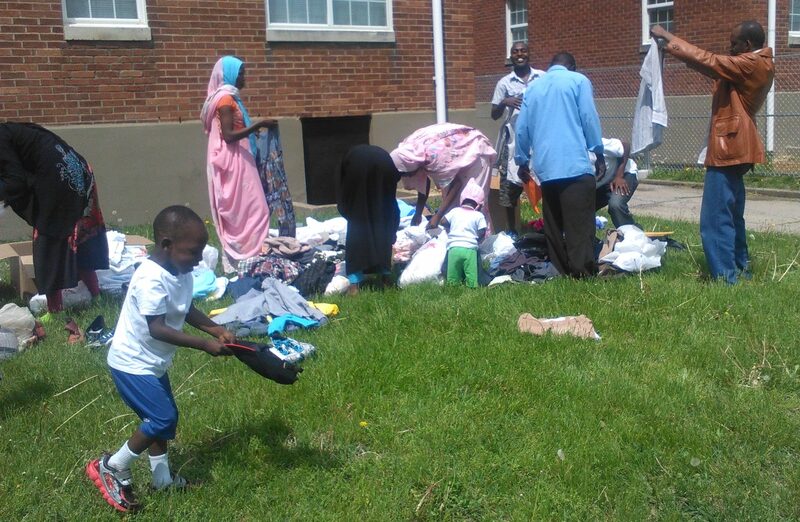 Pictured below, from viewer’s left to right, are Bakhit Adam, one of our members in Louisville, two daughters of a family of six newly resettled refugees, and Khamis Youssif in the Americana Apartments neighborhood in Louisville, Kentucky on April 23, 2016. Eight more new arrivals join us to select items from our local supply of donations.